The Zenefits People Platform brings everything HR into one radically simple, single app. The platform is designed to be comprehensive without being overly complex. It puts benefits, payroll and HR access in the pockets and at the fingertips of employees. It has a lot of HR resources in one place... It's really a promising platform if you live where you can take advantage of everything they offer! After talking to my sales person, I also have a lot of confidence that new features are coming. Many services aren't offered in Delaware. We couldn't use them for health insurance or for payroll - 2 of the key reasons we wanted the platform. That being said, we like it enough that we signed up and are waiting for those services to be made available in Delaware! Even if they don't offer everything in your state, the solution is still solid! We are glad we made the switch! We will eventually be able to put all of our HR in one place. Employees will have quick easy access to payroll and HR forms, in the same portal they use to clock in and out every day. "Amost HR functions in one system for a small to mid size companies." The system is very user friendly. The data and records are organized and simplified, yet compliance. I appreciate their great customer service. Very timely, attentive, and knowledgeable. I appreciate that I am not getting a robot to assist me with technical support or with answering any questions I may have. It is a HRIS that has some technical errors in the process. I would have to call customer service several times a month to ensure accuracy and request to resolve certain issues that I noticed while using the system. This typically is found in benefits administration feature than in any other features the system has. The system allows me to focus on “non” transactional tasks because takes care of these tasks for me. The system allows many tasks to be automated and can be viewed as an employee self service tool. In addition, the tool is very organized in maintaing and keeping record. I appreciate that there is always a customer service representative who will be able to answer my questions or resolve any issues I come across. What HR Consulting solution do you use? "Easy to use, convenient and user-friendly"
I had a previous role at the company and when I try to login I can't tell which position (the old or current one) I'm logging into so it just gets annoying to login to the wrong one, log off and login back in. so easy for employees, a time saver and convenient! The extra time and inconvenience of asking for time off in person or filling out tedious docs is no longer a problem with the inclusion of zenefits in my workflow. The ease in which the user can capture others in the company, as well as manage PTO, pay stubs, benefits, etc. I use several platforms simultaneously while at the office. The UI with Zenefits is efficient and easy to navigate. I do not really have any dislikes to share at this time. I am not an admin for our use of Zenefits, therefore several of the above questions do not related to my user experience. As an employee, my main benefit is a one-stop UI for all of my employee needs in a way that is easy to access, as well as integrates with Slack and Google, saving time. "Zenefits was a diaster "
Trying to find something to like about this product is hard when you wound up only having a single day to submit a healthcare enrollment application - December 31! Zenefits was completely unresponsive to any of our questions. It created a complete nightmare for the woman who was managing our employee benefits and delays for all the employees electing coverage. Please search Google news for stories about this company and all the problems they've had. You'll be shocked. The company thought Zenefits would be an easier way to manage employee benefits, but it wound up being a disaster. They only used this service for a few months before switching back to a traditional employee benefits company. "Affordable Advice on Company Policies and Employment Documentation"
Our Zenefits HR Advisor was knowledgable and responsive, and the service more than paid for itself. Our HR Advisor recommended best practices and helped us better understand how companies our size and in our industry across similar geos have dealt with this issue. Further, he helped us align our company policy and handbook to the culture we were trying to cultivate, which has helped us better attract the right candidates. I wish we could have completed the full project with the Zenefits rep, but we still had to take the handbook our employment attorney for final review. "Zenefits provides a clean, user-friendly experience. " I like the usability of the platform. It is very easy to navigate and is intuitive. It makes everything available in one central location, and the support team has been very helpful and responsive. Since it is a third-party, sometimes you may need to get in touch with your insurance provider to find out what will be covered, instead of Zenefits being able to tell you directly. Zenefits has made is extremely easy to access my paystubs and insurance information all in one place. "THEY WERE RELIABLE NEVER HAD AN ISSUE." Easy to use as an employee. Very clear with navigation and features. Did not need any training on Zenefits as I could clearly see where I needed to go. "Average experience--slightly confusing to find specific docs"
It would be great to have access to salary pay stubs. Also would prefer that all documents live in one area. We've considered few different benefits providers and Zenefits is the best. Friendly UX with simple UI comparing to other services we considered. Our employees love it. I would love to have a direct contact for our employees so they could ask any questions. I wished that you could start payroll earlier so I could use Zenefits as a only service to use to manage benefit and payroll. I like the ease with which I can use their product - everything is very intuitive. 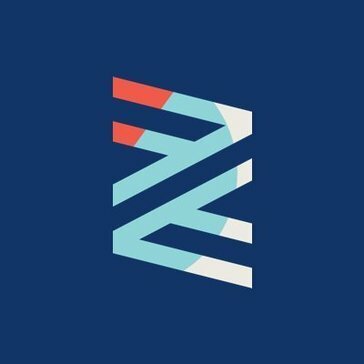 I haven't had a negative experience with zenefits. We use benefits to coordinate time off - very helpful. In addition to our org charts and staff files. "My experiences have been great "
How easy it is to submit request for time off. Not a lot of integration with payroll. There is only one thing we use it for. "I used Zenefits at a design agency I worked for"
The UI and branding changed a couple times, leading me to feel a bit disconnected from the product. Great HR tool for organizing benefit info, particularly insurance. * We monitor all Zenefits Services reviews to prevent fraudulent reviews and keep review quality high. We do not post reviews by company employees or direct competitors. Validated reviews require the user to submit a screenshot of the product containing their user ID, in order to verify a user is an actual user of the product. Hi there! Are you looking to implement a solution like Zenefits Services?